Southern RV Hire - Motorhome Rent Services Include Special Events, Corporate hire And on Location Delivery. American Motorhome Hire is the ideal Vehicle for Corporate Hospitality at any event, if required we can arrange a food and beverage package as part of your hire along with outside seating with awning facility. We provide American RV Motorhome Hire to any Motorsport event throughout the UK and Europe, whether its to supply a Racing drivers accommodation, Hospitality Vehicles for corporate clients or for VIP Camping, our aim is to provide the very best RV Hire at the most competitive prices. 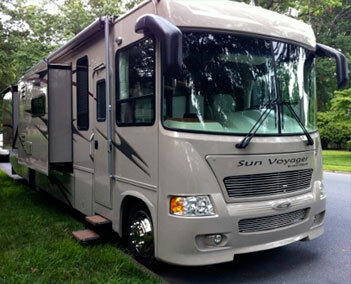 We currently have no vehicles for sale, advertise your American motorhome for sale here. We provide Winnebago hire style vehicles at any Music or Film Festival in the UK and through out Europe, whether its Recording Artists trailer hire or Music Festival VIP Camping our aim is to provide 1st class American motorhome hire at the most competitive rates. Return the vehicle cleaned and valeted within 7 days of the rental ending. We supply makeup Make Up Artist / Wardrobe Vehicle or American Motorhomes for on location filming throughout the UK and Europe all at very competitive prices.